Photo courtesy of Rhythms of Play. Here is a tutorial that teaches your campers about the changing seasons. 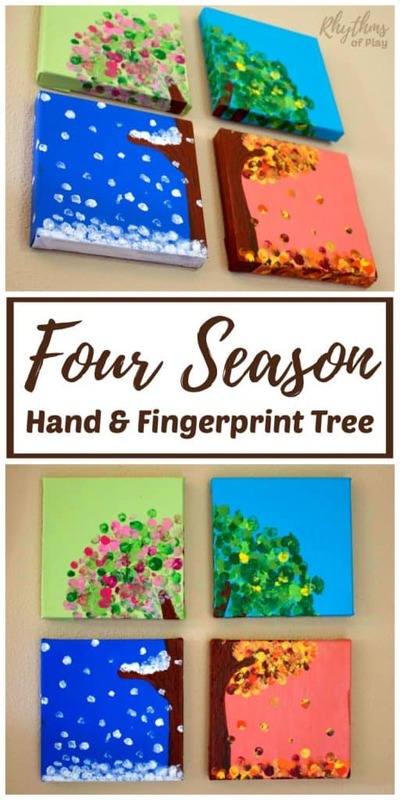 A picture perfect nature craft for camp that use their little hands and fingerprints. Check out this fun tutorial at Rhythms of Play.